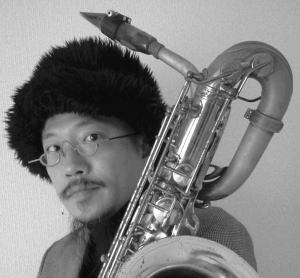 I am a baritone saxophone player regularly performing with “Shibusashirazu Orchestra”, “Tokyo-chutei-iki” etc. I have performed at many big music festivals in Japan and all over the world, like “The Fuji Rock Festival”, “The Moers Jazz Festival”, “The Glastonbury Festival”, and “The London Jazz Festival” . I have also been invited to various countries, such as, France, Italy, UK, Germany, Switzerland, the Netherlands, Belgium, Austria, Poland, Slovenia, Ukraine, and Russia. My another important aspect of my musicianship is composing music for my own band. 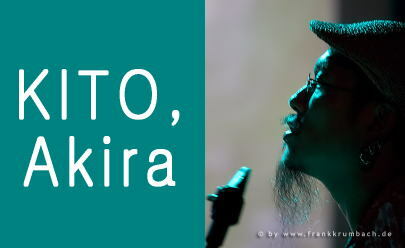 ”KITO, Akira Brass Band! (KABB! )” , which is a complete acoustic band formed only by wind instruments and percussions (about 30 musicians). I have written more than 30 original songs for this band.